I've found a solution to the conundrum I faced last Thursday (see May 15th post) about how I saw the wedding as a chance for Matt and me to focus on each other, while Matt saw the wedding as a chance to focus on the friends and family he hasn't seen in a while. Excel provided the solution (it's disturbing how often that good ol' computer program is the answer to my problems!). I simply scheduled time for Matt and me to be together, alone, focused on each other and the weight of the moment. The wedding day will be packed, in a relaxed sort of way. We'll start the day among friends and family over a leisurely breakfast from 8-10am. Then we're off to the ceremony site to set up and rehearse. Next we head to a family luncheon (hosted by Matt's family) for a quick bite. Then it's back to Sunshine Mountain to help with the last hour of a two-hour food prep session for the reception. After that's finished, Matt and I hike to the top of the Sunshine Mountain Inn property to spend 45 minutes of quality time together. Finally, it's back down the mountain to get ready for the wedding (luckily, I'm pretty low-maintenance, so that won't take much time). Phew! It's funny how schedules simultaneously make me feel less-stressed and more-stressed. Yes, our wedding is going to be untraditional, but it will still include baked goods (in the form of cake). Fortunately for us (and our budget), we're not really into traditional wedding cakes. Yes, they are beautiful, but the plastic-y icing has never floated our boat. That leaves us with real cakes. Since we're getting real cakes, we can order a wide assortment of 8-inch cakes: carrot, white, tiramisu, cheese, chocolate, etc. We're thinking of ordering 8-10, depending on our final count. We haven't been able to find any truly appealing bakery options in Denver, so we're actually leaning toward our friends at the Whole Foods bakery. We've become quite the regulars at the counter--not because of our wedding planning--but because there are always yummy samples up there. On our last visit, we asked for an official taste test, and the super-friendly woman behind the counter gladly obliged. We tasted all sorts of deliciousness, and even received very candid opinions from the baker (e.g., she warned us to avoid the chocolate cake because it's vegan and dry). We're leaning toward this option (after all our tasting, we still ended up buying a piece for dessert), There's a slight possibility that we'll try out a mom-n-pop German bakery in Loveland, CO, but we'll see. "For those of you that put your guest names on them did you just put first names, Mr. and Mrs, Jane and Guest, or full name first and last?" Granted, I am a person who focuses on details. In fact, I've considered therapy or meditation to help me overcome my neurotic need to analyze and perfect. But obsessing about how to write your guests' names on the RSVP cards seems utterly over-the-top. I had a moment of crisis about the wedding yesterday. 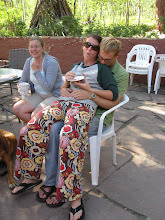 I realized I'm going to want the wedding weekend to give me time to feel connected to Matt (we are, after all, formally commemorating our love and commitment to each other). However, I worry that, for him, the wedding weekend is going to be less about me and more about his friends and family. But it doesn't exactly seem fair for me to complain about that, considering the fact that we designed it to do precisely that--give us time to reconnect with the people with whom we are closest. Perhaps I shouldn't look at it through such an either-or lens. We can surely carve out time for intimate connection with each other (get your mind out of the gutter) and still spend copious amounts of time with friends and family. We just have to be deliberate and strategic about it. 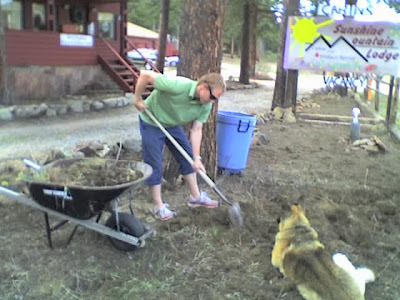 This weekend, Matt and I are planning to trek to Sunshine Mountain Lodge to help the innkeepers, Corey and Cathy, do a little yard work. They are so fun to be around; we just volunteered to help so we could spend more time with them. 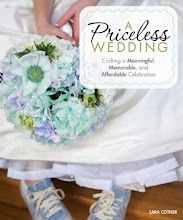 Building good relationships--real relationships--with the vendors involved in the wedding makes a huge difference. It's such a big part of ensuring that the wedding planning experience is fun. Then again, we've also limited the number of vendors we're working with (no photographer, no caterer, no florist, no dress people, no hairstylist, no DJ), so that means we're mainly working with our friends. Doug Faber, Marsha Heard, and Paul Davis will be our paparazzi. Brent's in charge of the fajitas, Andy's the lead on the salsa, Camella's got the bean and corn salad, Christy's picking up the cakes and the margarita machine, Nick is setting up the music, Beth is doing my hair, David is teaching a swing dancing lesson, Camella's leading yoga, Peter's washing the cloth napkins so we can use them two nights in a row, Chong-Hao is setting up the s'mores, Katy's setting up the group photography, Amy's collecting room payments, Mike and Tom are setting up the alcohol. New fabric arrives nearly every day. How fun! 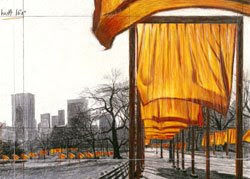 My grandparents in Connecticut recently sent us a piece of orange fabric from The Gates project in Central Park. This quilt signifies the bond between Matt and Sara and the closeness that will continue to develop day after day. This quilt signifies the comfort they bring to each other and will continue to bring to each other. And embrace to celebrate that they are now officially united. One sign that we're doing things right with this wedding planning stuff is that my connections to friends and family are getting stronger and stronger. I've been e-mailing and talking with friends more, and my grandfather just sent me a piece of a chief's robe he was given when he worked in Africa. "I really admire the values and awareness with which you are approaching this special event in your life. Having planned a wedding not that long ago, I can relate to the over-the-top and often ridiculous nature of the wedding industry. Plus, it sounds like you're having fun doing it! Anyway, I read that you are making your ring out of recycled gold from friends and I was wondering if I could contribute. I don't have much (not being a big jewelry fan myself) and what I do have is not hugely valuable, but I would love to contribute in some small way to something so meaningful." 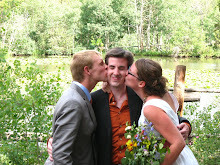 It's so cool that weddings can strengthen relationships and build community. The list of people contributing old gold to our recycled wedding ring cause is growing! Add to it the mom of an ex-boyfriend, as well as my best friend from high school. My friend, Camella, is going to look for her dad's wedding ring from his first marriage (not her mom). She said, "I don't want to leaden your union with bad karma. are you okay with that? It would be a lot of gold." I pretty much think the bad karma will melt out during the recycling process. Plus, I think there's so much good karma from our friends and family taking the time to find and mail their old gold. It is a little taxing, according to my ex-boyfriend, Jeff. He said he's getting tired from all my requests. First I requested the old gold. Then I requested a piece of fabric. He said he can't imagine what planning his own wedding will like, given the fact that he's already exhausted from participating in mine. Here's another ring I'm considering. It's much simpler and subtler. I dig it. The ring-making process is underway. Seven of our friends and family members have confirmed that they are sending in old gold to be melted and remade into our rings. Unfortunately, our time line is a big tight because they need two months to make the rings. We have two months and 13 days until we tie the knot. And we need a few days for shipping. 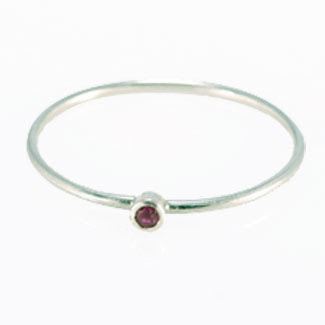 I'm thinking of something similar to this with either moissanite or citrine. The ceremony is nearly finished. It's pretty hard to write a wedding ceremony that doesn't sound cheesy. I'm particularly happy, however, with some of the symbolic gestures we've incorporated. 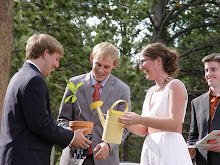 At one point in the ceremony, we are going to plant a sapling to represent the growth of our love. The coolest part is that my mom is mailing us a Live Oak sapling from our backyard in Florida. Now Matt and Sara are going to plant a Live Oak sapling from the backyard of Sara’s parents to symbolically represent the growth of their love. Live oaks were widely used to build planks in early American ships because of their remarkable resilience. The live oak of the USS Constitution repelled the shot of enemy gunfire so effectively that one of the sailors was heard to shout, "Huzzah! Her sides are made of iron!" The ship was given the nickname, Old Ironsides. Like the planks on ships, marriage, too, must be resilient. It must weather the challenges of daily life. And just like the tree that they are planting, marriage requires constant nurturing and nourishment. As they provide the sun, soil, and water for this tree, they will provide the encouragement, trust, and love needed on a daily basis to consciously nurture and nourish their connection to each other. We've got a pretty solid outline of a ceremony planned. We started by thinking about what we wanted people (ourselves included) to think, feel, and/or do as a result of the ceremony. For example, we wanted people to be inspired to be more nurturing, authentic, and honest in their interpersonal interactions. We also wanted them to feel valued, loved, and appreciated. We worked backwards from there to plan the smaller components. I feel very content with the outcome and very proud that we're constructing a ceremony that reflects us and our life together. We didn't get beyond the outline (into the actual scripting and such) because we adopted a dog. We've been befriending Haus, the tan bloodhound next door, through the chain-link fence for the past couple weeks. Our neighbor mentioned that he was thinking about getting rid of his dogs. As we went to sleep last night, we heard our neighbor talking about moving his stuff out of his house. We knew we had to act quickly. This afternoon, we went over and asked our neighbor if he had thought about putting Haus up for adoption. He said he was thinking about driving him to his uncle's farm in Nebraska but mentioned that it would cost at least $200 each way. We offered to adopt Haus ourselves and told him to think about it. When we returned from an AIDS fundraiser at a local pizza restaurant, our neighbor came over and said we could have him. And there you have it. We're parents.